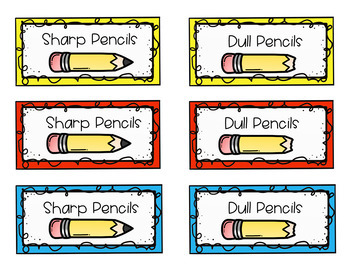 Minimize pencil sharpening in your classroom. 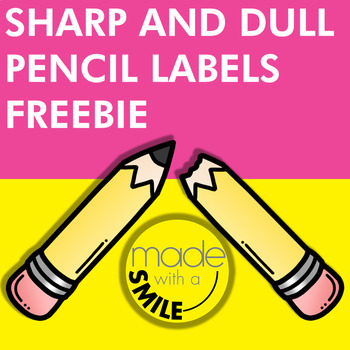 Use these sharp and dull labels on tubs, buckets, bins, or any other container you may use to hold pencils. There are two different styles and sizes – round (2.5” x 2.5”) and rectangular (4.5” x 2’). 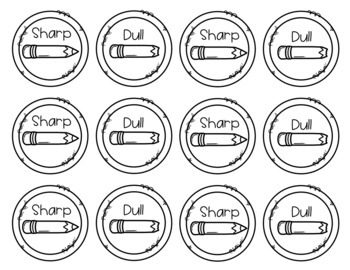 Both labels come in black and white and color. Print them on card stock and laminate for longer use. Provide Feedback and earn TPT credits. I value your feedback.